Born in Germany in 1970, Matthias Demacker studied design at Niederrhein Polytechnic at Krefeld. After graduating, he moved to Munich where he gained experience in a number of design consultancies and interior design... Read more studios before setting up his own practice. He has received a number of international accolades including the Interior Innovation Award and the Red Dot Design Award, and is working on furniture and product designs for clients across Europe. The hm58 and hm59 collections were developed with Hitch Mylius in 2009. 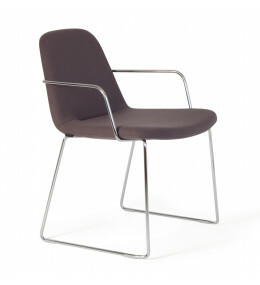 HM58 Chair with chrome-finished stacking skid or four-leg base, and optional armrests. 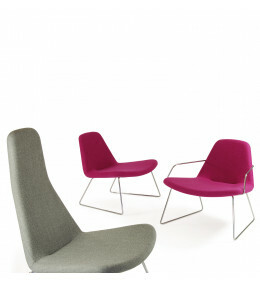 HM59 Lounge Chairs with low or high backrest and optional armrests for comfort. Upholstery in fabrics or hides.